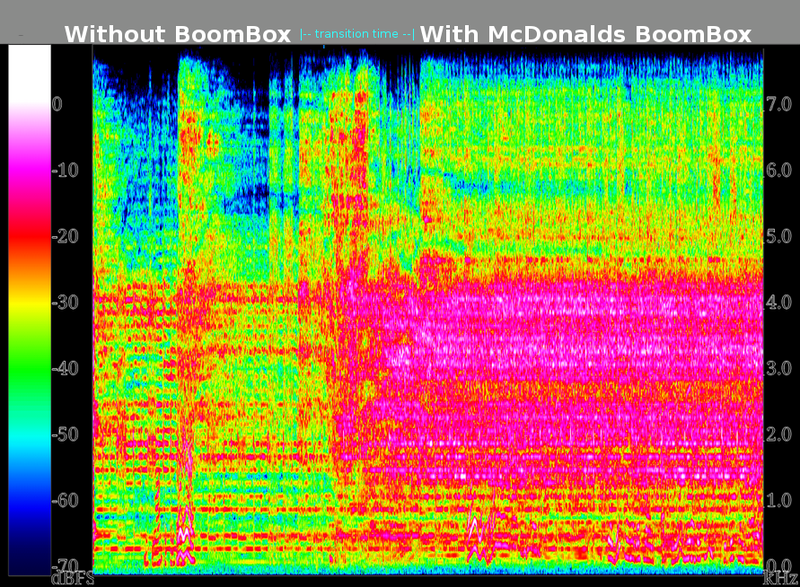 McDonald's BoomBox - We're Lovin It! The purpose of our investigation was to determine whether it would be possible to increase the sound pressure level (SPL) produced by a smartphone inserted into the McDonalds BoomBox. Several aspects of the BoomBox were examined to determine if further improvements could be achieved. Various prototypes were designed and experiments were conducted in which SPLs were measured and recorded for each prototype. designs where one speaker was removed. For each prototype, we took measurements 15 cm away from the horn that encapsulated the phone speaker along the central axis. Experiments were conducted in noisy environments since the purpose of the McDonalds BoomBox is to be used in public. Our report along with our experimental results and analysis is posted below. CTV News: Using Math to Turn Tray into BoomBox! UnboxTherapy: The McDonald's Drink Tray Boombox!